Economists expected export prices to drop by 0.2%. Instead they fell 0.7%, outside the range of any Econoday Import/Export Estimate. A bounce back for petroleum prices helped to limit import-price contraction in September, coming in at only minus 0.1 percent. But contraction in export prices, where agriculture and not petroleum is the wild card, was very heavy, at minus 0.7 percent in the month. Year-on-year rates are very weak, still in the double-digits for imports at minus 10.7 percent and at minus 7.4 percent for exports. A striking detail on the import side is slightly deepening year-on-year contraction in various core readings, still in the low to mid single digits with non-petroleum down 3.3 percent. This is the largest decline since October 2009 and points to fundamental price weakness for imports, in part a function of the strong currency which is giving U.S. buyers more for their dollars. Prices for petroleum imports rose 1.1 percent in the month, a welcome positive for the Fed's efforts to raise inflation but still a fraction of the giant 11.8 and 6.6 percent declines of the prior two months. 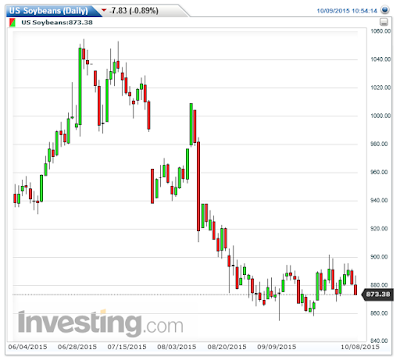 On the export side, prices of agricultural goods fell 1.1 percent and are down a stiff 13.5 percent year-on-year in news that is not welcome in the farm sector. Non-agricultural export prices fell 0.6 percent in the month with the year-on-year rate also speaking to fundamental price weakness, at minus 6.7 percent in what is record weakness. But the price bounce for petroleum is a reminder that the great price drag from this year's oil rout may have run its course, especially given this month's early strength in oil prices. Still, this is a weak report that underscores the strong dollar's negative-price effects on imports. Once again, the economic cheerleaders are praising price inflation. Bear in mind, this same group of cheerleaders have said all along that falling oil prices were a good thing because consumers would spend the money elsewhere. 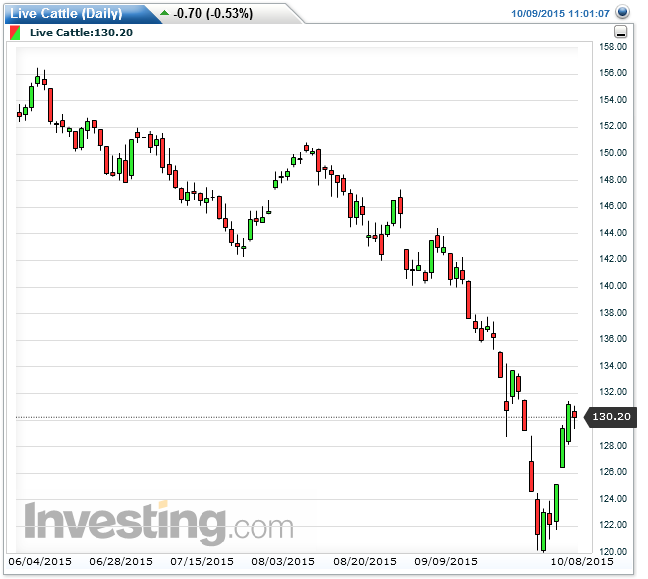 Thus, falling oil prices are good, and so are rising oil prices. Do these people read what they write? Import prices are now down 14 consecutive months, year-over-year, literally "off the chart" as shown from the BLS Report on Import/Export Prices. The last time year-over-year import prices rose was for the 12-month period ending July 2014. Year-over-Year export prices are also "off the chart", albeit for one month less. 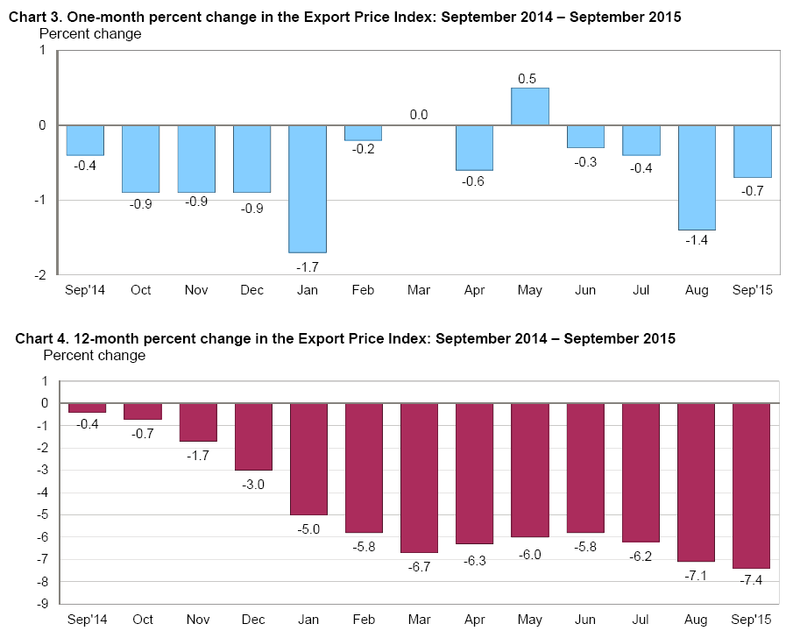 Prices for U.S. exports fell 0.7 percent in September, following a 1.4-percent drop the previous month. 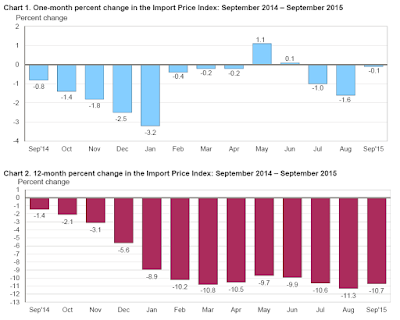 Falling agricultural and nonagricultural export prices each contributed to the September and August declines. The price index for overall exports fell 7.4 percent over the past year, the largest year-over-year decrease for the index since an 8.3-percent drop for the 12 months ended July 2009. Agricultural export prices declined 1.1 percent in September, after falling 2.5 percent in August. 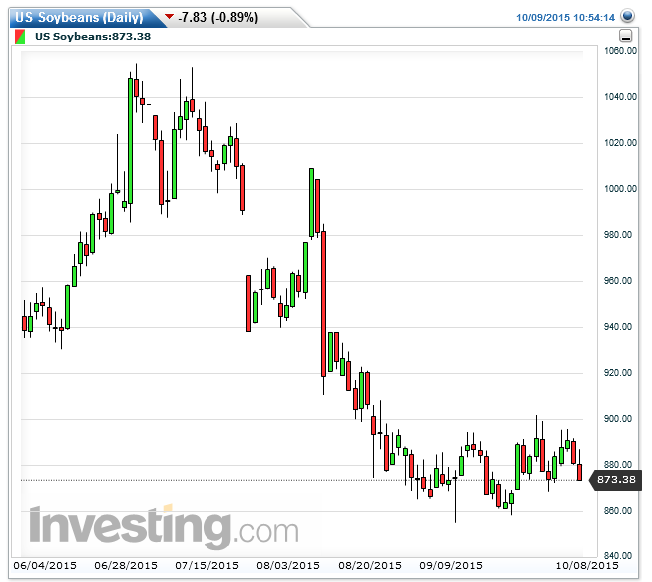 The decrease was mostly the result of an 8.3-percent drop in soybean prices, although a 4.3-percent decline in nut prices also contributed to falling export agricultural prices. The price index for agricultural exports decreased 13.5 percent for the year ended in September. Declining prices for meat, soybeans, and wheat over the past year primarily drove the drop. One might think that economists estimating export prices would be following the price of grains, soybeans, cattle, etc. Do they? Or do they just pull guesses out of the air?